Jay B. Myerson, founder of the Myerson Law Group in Reston, has been awarded the Virginia State Bar Conference of Local and Specialty Bar Associations’ 2018 Local Bar Leader of the Year Award. Myerson is a member of the Fairfax Bar Association where he has held many roles, including president from 2012- 2013, current chair of the Judicial Funding Task Force, and past roles as the Fairfax Bar’s delegate to the American Bar Association and member on the Fairfax County Domestic Violence Prevention Policy and Coordinating Council. He is also currently on the board of directors of the Fairfax Law Foundation. Luis A. Perez of Luis A. Perez P.C. nominated Myerson, enumerating his numerous volunteer activities both with the Fairfax Bar and with other legal entities including the American Inns of Court, the George Mason Inns of Court, and the American Bar Association. Myerson graduated from Georgetown University and Georgetown Law School. 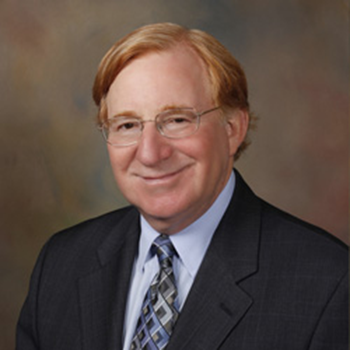 His practice focuses on family law and criminal defense. He has held a number of roles in the Virginia State Bar, including currently serving on Bar Council and on the faculty of the Harry L. Carrico Professionalism Course. The CLSBA’s recognition of a Local Bar Leader of the Year identifies past and presently active leaders of local bar associations who have continued to offer important service to the bench, bar, and public. The award is a continuing monument to the dedication of local bar leaders. It also emphasizes the importance of close cooperation between the Virginia State Bar and local bar leaders. The Conference of Local and Specialty Bar Associations will present the Local Bar Leader of the Year Award during its annual meeting on Friday, June 15, 2018 in Virginia Beach.